National Animal Pest Alerts highlight the risks posed by emerging pests. 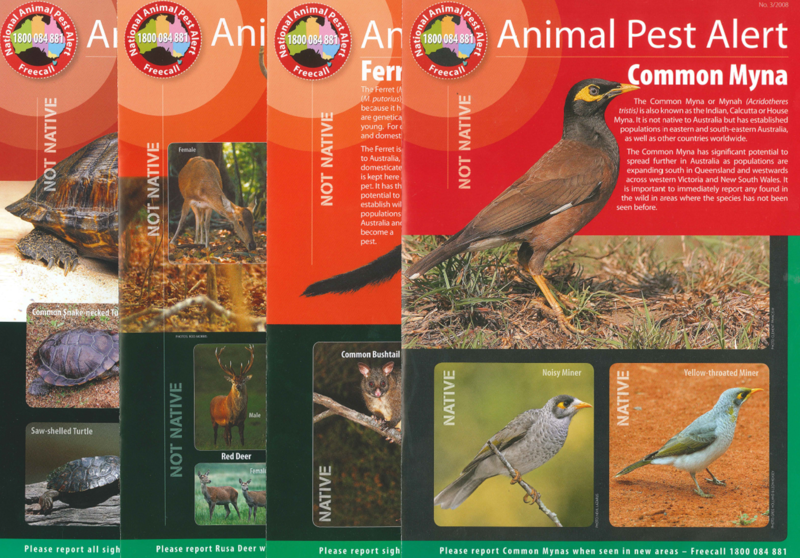 The alert brochures were produced with support from the Australian Government’s Australian Pest Animal Management Program administered by the Australian Bureau of Agricultural and Resource Economics – Bureau of Rural Sciences. There is a great reliance on the public to report these alert species or other unusual animals and birds seen in the wild - any sightings should be reported to the nearest relevant government department or wildlife authority on Freecall 1800 084 881 so that appropriate action can be taken.